Spacious and well-lit rooms with an in-house restaurant and a banquet hall at an affordable price. The rooms provided at Hotel Dream Palace are really works of art. The rooms are spacious and a monochromatic tone has been used throughout the room. There are long curtains in the rooms which cover large windows. These windows let the guests enjoy some great views and a lot of sunshine. 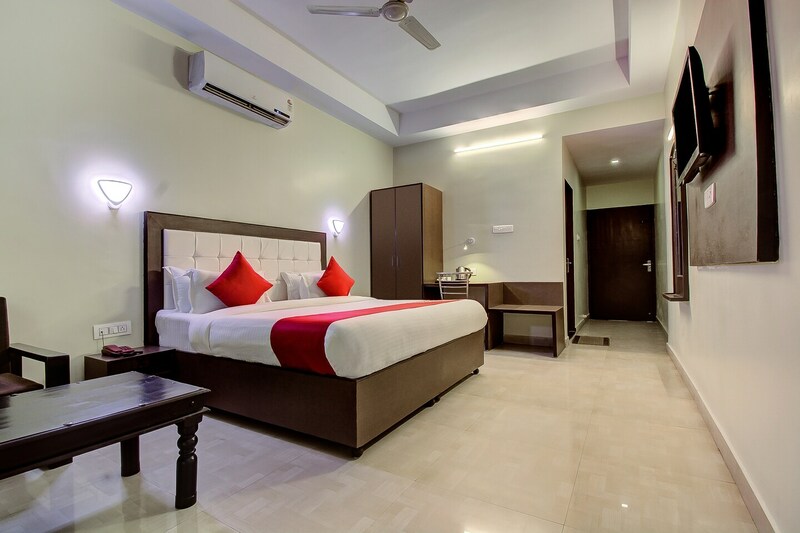 The rooms are well-furnished and a number of artificial lights make the rooms well-lit. The additional facilities provided by the hotel are free Wi-Fi, a common kitchen, CCTV cameras, card payment in all forms, and parking provisions. The in-house facilities include a common banquet hall and a restaurant. The front desk service is located close to the entrance and is managed by experienced staff.